Made for kids, but made for banks too. It’s made for kids but it’s made for banks too. Banker Jr. is a brand-able mobile application designed to expand your Mobile Banking footprint. It makes banking fun, teaches good saving habits, illustrates financial learning, encourages giving, and it puts your bank at the center of it all. 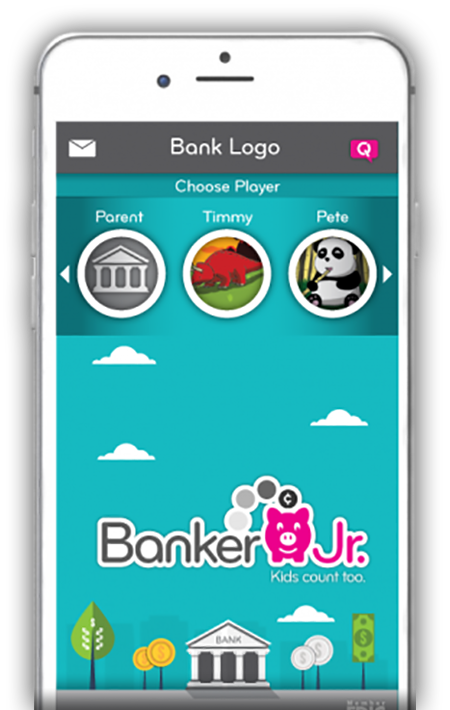 Banker Jr. allows our app to feature your brand for kids and parents alike. 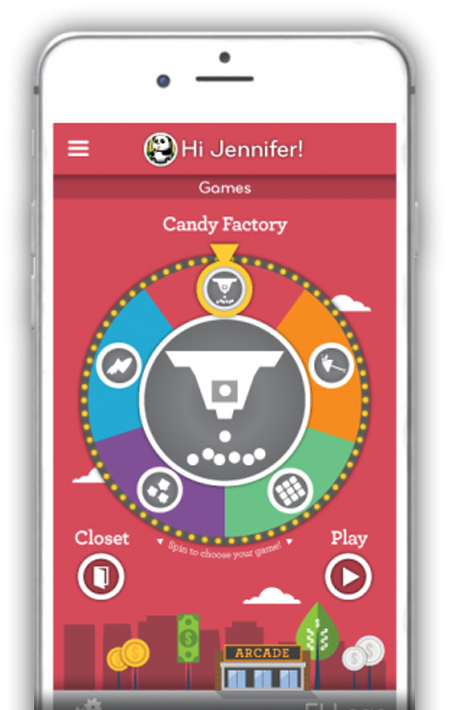 Kids track their account at your bank in a fun, fresh, and interactive way. No matter how mobile your bank is, Banker Jr. expands your mobile footprint. Banker Jr. helps to fill the void, and we can help you do even more. Watch Amelia having fun with Banker Jr. Learn to use Banker Jr. with our tutorial video. See the world of Banker Jr. 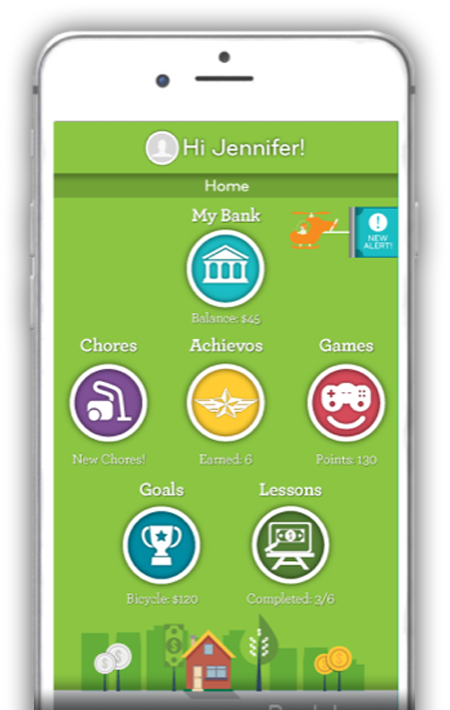 Featuring your brand, Banker Jr. becomes a world of financial learning and fun. Want to stay up to date on the latest Banker Jr. news?